Screwdriver tool set， laptop repair tool，precise manual tool set，professional hardware tools，essential tools of repair mobile phone. Good performance,stable quality,Practical. It Can be used in a variety of practical situations,For repairing laptops, mobile devices, and other precision items like wristwatches and eyeglasses，112 in 1, portable and easy to carrying. 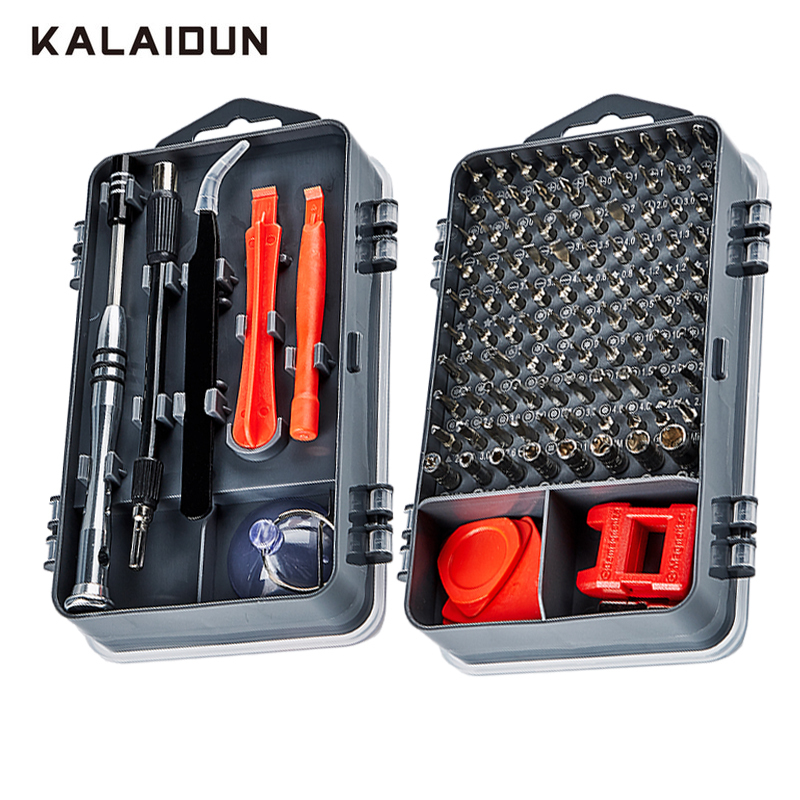 Content / delivery: 1 x magnetic handle 1 x extension shaft 1 x short post 1 x aluminum alloy extension shaft 1 x toolbox 1 x tweezers 1 x iPhone pin 1 x magnetiser/demagnetizer 1 x suction cup 4 x bracts 2 x crowbar 98 x screwdriver bit Package list: 112 In 1 Screwdriver Set 1. All orders will be shipped out within 3 working days after we have successfully received your payment. 2. We offer regular Post Air Mail and have set up free shipping methods. 3. Since the trade is trans-national, as well as airmail is the cheapest shipping method, it will take a long time for delivery. If you don’t want to wait such a long time, please choose Express and pay the fee. 4. We are not responsible for your Customs duty. 1. If items are found in bad condition when received, please contact us freely. We can refund the money or resend a new one to you. 2. If you are not satisfied with the product because of personal preference, you can return it to us within 7 days. You need to pay the freight. 1. Please leave us POSITIVE FEEDBACK and light up 5 Stars if you are satisfied with our items and services. We appreciate that very much. 2. If you have any problem with the item, please contact us before opening a dispute or leaving a 1-3 star feedback. Negative feedback will do no help to solve problems, so please tell us the exact situation, and we will fix it and make you satisfied.